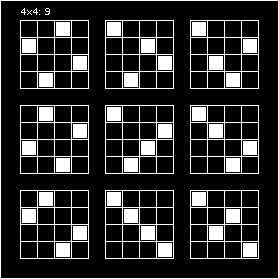 How many non-isomorphic permutation selections are on an arbitrary N x N square matrix with rotations applied? On a square $N \times N$ grid, select exact $N$ cells that satisfy condition: only one cell selected in same row and column. How many solutions will be? The answer is very simple: $N!$. How many non-isomorphic permutation selections are for arbitrary $N$ ? I could not get direct answer, and I created a project on github for getting answers for small $N$ in brute force way. Please see more information from https://github.com/gnozil/permatrix. $90^\circ$ rotational symmetry, orbit size 1. Matrices with 180$^\circ$ rotational symmetry. What must a permutation look like if its permutation matrix is unchanged by 180$^\circ$ rotation? Observe that if $N$ is odd, row $(N+1)/2$ undergoes reversal when the matrix is rotated by 180$^\circ$. In a matrix with 180$^\circ$ rotational symmetry, row $(N+1)/2$ must therefore be symmetric under reversal, which means that its single $1$ must lie in column $(N+1)/2$. This corresponds to the center point of the matrix, which is fixed under rotation. In other words, a permutation whose matrix has 180$^\circ$ rotational symmetry must fix $(N+1)/2$ if $N$ is odd. Now suppose that our permutation with 180$^\circ$ rotational symmetry maps $1$ to $j$. Because, under 180$^\circ$ rotation, row $1$ becomes row $N$ with order of elements reversed, $N$ must then map to $N+1-j$. When $N$ is odd and greater than $1$, we know that $j\ne(N+1)/2$ since $(N+1)/2$ maps to itself and therefore cannot be the image of $1$. Hence there are $N-1$ choices for $j$. When $N$ is even, there are $N$ choices for $j$. Matrices with 90$^\circ$ rotational symmetry. Now we enumerate the permutation matrices with 90$^\circ$ rotational symmetry. Suppose that such a permutation maps $1$ to $j$. Then, since row $1$ becomes column $N$ after a 90$^\circ$ clockwise rotation, we see that $j$ maps to $N$. We know from the preceding discussion of 180$^\circ$ rotations that $N$ maps to $N+1-j$. Finally, under a 270$^\circ$ clockwise rotation, row 1 becomes column 1 with the order of elements reversed. Therefore $N+1-j$ maps to $1$. As a consequence, the permutation contains the 4-cycle $(1,j,N,N+j-1)$. More generally, a permutation whose matrix has 90$^\circ$ rotational symmetry consists of 4-cycles of the form $(a,b,N+1-a,N+1-b)$. Note that $a$ cannot equal $b$ unless $a=b=(N+1)/2$ since a 90$^\circ$ clockwise rotation sends the matrix element $(a,a)$ to $(a,N+1-a)$, which would produce two $1$s in row $a$ unless $N+1-a=a$. By similar reasoning, $b$ cannot equal $N+1-a$ unless $a=b=(N+1)/2$. In the case $a=(N+1)/2$, which requires $N$ odd, the permutation contains the 1-cycle $((N+1)/2)$. This represents the center point of the matrix, which, as we have already discussed, is fixed by rotation. Not the answer you're looking for? 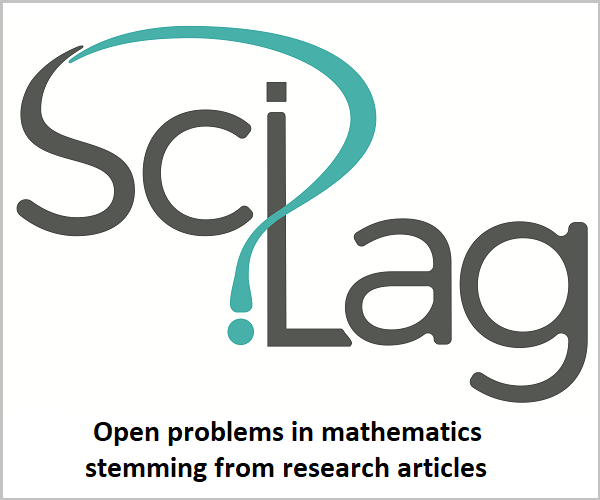 Browse other questions tagged algorithms permutations or ask your own question. How should $k$ items be selected in $m$ trials so that the average size of the intersection of selected items is as small as possible? In how many ways can $5$ identical balls be placed in the cells of a $3 \times 3$ grid such that each row contains at least one ball? What is my problem with combination/permutation problems? How many Permutation of non overlapping Elements inside an area?